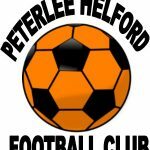 Here is a list of the many clubs operating within Peterlee that offer a wide variety of opportunities to participate in sport. Peterlee Pumas Rugby League. The Pumas offer Rugby League training for primary aged boys and girls through to adults. For further information please click on the link or contact Helen Taylor on 07504383814. Peterlee Cricket Club. 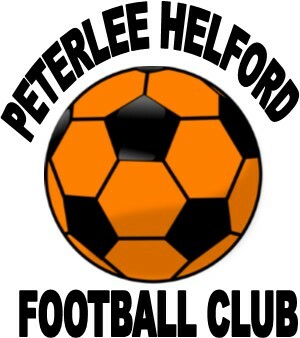 Representing Peterlee since the late 1950’s. Cricket is played at Peterlee Oval from the last Saturday in April until the second Saturday in September each year. Junior and senior cricket teams play at weekends during this period and ‘off season’ junior cricket is played indoors at The Academy at Shotton Hall with qualified CRB checked coaches. Anyone interested in playing cricket can contact admin@peterleecricketclub.co.uk or James Pratt on 07818424480, or click on the link for further information. Peterlee Koryo Taekwondo. Taekwondo is a Korean martial art and an Olympic Sport, it involves learning self-defence, blocks, kicks, strikes, patterns and lots more. It is an ideal way to instil confidence and keep fit. The club is open to new participants; both male and female; aged 6+, training nights are Thursday 4:30 pm – 6:00 pm, the cost is £2.50 per session. For more information contact Sharon Pounder on 01915869957 or sharon.pounder@peterlee.gov.uk alternatively you could visit the Facebook page Koryo Taekwondo Clubs. Run Peterlee is a UKA affiliated running club based out of the Pavilion. The club leader is a fully qualified LiRF run leader and CiRF UKA coach, with LiRF qualified run leaders to lead each ability group. If you are interested in running, either competitively or just to keep fit, why not come along, all abilities are welcome. They support and encourage participation in Parkruns, 10K’s, half marathons and marathons to help you achieve your goals. Meet at the The Pavilion on a Monday 6:30 pm to run at 6:40 pm. Club fees £2.00 per session, UKA competitive licence (optional) £14.00 per annum. Helford Road Indoor Bowls Club. Monday and Friday 1:30 pm – 3:00 pm. New Members needed. For more information contact The Pavilion on 01915869957.